The members of the Decision Maker Advisory Council who provide ongoing direction to the RaDAR research team indicated that an annual face-to-face meeting was important for developing relationships and providing opportunities for mutual learning. To meet this need we hold an annual Summit in Saskatoon, which brings together Decision Maker Advisory Council members, the RaDAR team (including co-investigators, research personnel, and trainees), and other interested stakeholders. Together this group is known as the Knowledge Network in Rural and Remote Dementia Care and we hope that this network will continue to grow. 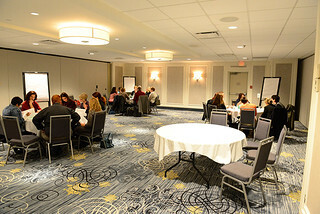 Summit 11 took place over Tuesday, October 23rd and Wednesday, October 24th, in Saskatoon. 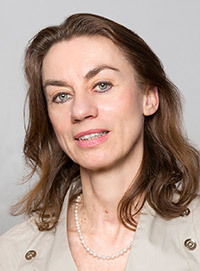 The Summit Keynote presenter was Dr. Stefanie Auer from Danube University Krems, Austria. Dr. Auer is Professor for Dementia Studies in the Department of Clinical Neurosciences and Preventive Medicine at the Danube University Krems, Austria. She also serves as Scientific Director of the MAS Alzheimerhilfe in Upper Austria. A selected publications list from Dr. Auer is available for download. Dr. Auer and her team have developed a community care model for persons with dementia and their caregivers living in rural areas since 2002, the model of “Dementia Service Centers”. Within this care model, early disease detection, counselling, stage specific training and guidance throughout the disease is offered for persons with dementia and their support providers. A longitudinal data base is connected to this project since 2002 collecting baseline- and follow up data on persons with cognitive deficits and persons with dementia. Dr. Auer has received several National Grants from “Fonds Gesundes Österreich”, the Austrian National Bank, The Austrian Science Fonds (FWF) and the County of Upper Austria. The work of the team is supported by the Austrian Ministry for Social Affairs for several years in sequence. Currently, she and her team are participating in three AAL projects funded by the European commission. Dr Auer initiated a University Master course for “Dementia Studies” in 2009 at the Danube University in Krems and she is directing this Master course. 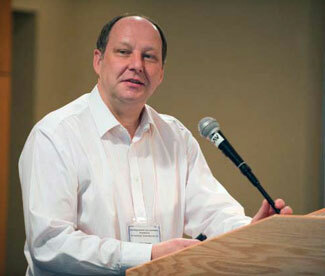 Dr. Auer is a member of the pan-European research network Interdem. A pre-event newsletter, as well as the Tuesday evening Poster Session booklet are archived below. ﻿The 10th Annual Summit of the Knowledge Network in Rural and Remote Dementia Care took place October 23 & 24 in Saskatoon at the Western Development Museum. Monday the 23rd was the evening poster session, and the Summit meeting was held on the 24th during the day. The keynote presenter, Dr. Jenny Basran is an associate professor of Medicine and Head of the Division of Geriatric Medicine at the University of Saskatchewan. She did most of her medical training here, where she was chief resident in Internal Medicine. 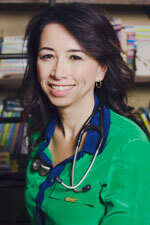 Dr. Basran went to the University of Calgary for her Geriatric Medicine fellowship training. Dr. Basran's research interests include medical education, models of care and technology to help older adults age successfully. She is the recipient of numerous grants with over a hundred abstracts, publications and national and international presentations to date. She has been involved in initiatives for seniors at the local, provincial and national level. Dr. Basran is currently working with several health regions, Health Quality Council and the Ministry of Health to improve the care of older adults along the entire continuum of care. She has served several roles on the executive of the Canadian Geriatric Society, the Alzheimer Society board and is currently a core team member of the Canadian Agency for Drug and Technology in Health. She has received several awards for teaching as well as her work with dementia patients, including the Queen Elizabeth II Diamond Jubilee Medal and the Alzheimer Society Lifetime Membership Award. She was named the Saskatchewan Medical Association's Physician of the Year in 2015. Her most unique award however was winning first prize at McGill University's hackathon - Hacking Health - for developing a caregiver app. A pre-event newsletter, featuring news and updates from the Knowledge Network researchers and members since the 2016 Summit as well as the Tuesday evening Poster Session booklet and the final report from the Summit are available. The 9th Annual Summit of the Knowledge Network in Rural and Remote Dementia Care was held October 25th and 26th, 2016, in Saskatoon at the Western Development Museum. The first evening of Tuesday the 25th was an informal poster session, and the Summit meeting was held during the day on Wednesday the 26th. Summit 9 Keynote speaker, Mark Rapoport, MD, is a geriatric neuropsychiatrist at Sunnybrook Health Sciences Centre, and an associate professor of psychiatry in the division of geriatric psychiatry at University of Toronto. 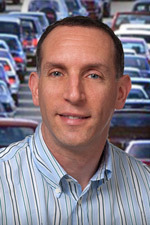 He is also a member of the Canadian Driving Research Initiative for Vehicular Safety in the Elderly (CanDRIVE), and an associate editor of the Canadian Journal of Geriatrics. Dr. Rapoport received his medical degree from McMaster University in 1995, and subsequently trained in psychiatry at the University of Toronto. Dr. Rapoport’s main areas of research are traumatic brain injury in the elderly and the risk of motor vehicle conditions associated with neurological and psychiatric diseases and their treatments. Drs. Gary Naglie and Mark Rapoport are leading the Canadian Consortium on Neurodegeneration in Aging: Team 16 in developing a program to support driving retirement. A pre-event newsletter, featuring news and updates from the Knowledge Network researchers and members since the 2015 Summit as well as the Tuesday evening Poster Session booklet and the final report from the Summit are available. The 8th Annual Summit of the Knowledge Network in Rural and Remote Dementia Care was held on Tuesday, October 27th and Wednesday, October 28th and featured two guest keynote presenters as well as research presentations and knowledge sharing activities. The Summit agenda included dedicated time for the Knowledge Network members to meet and network. 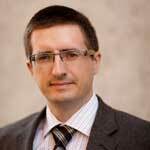 Dr. Dallas Seitz, MD FRCPC is an Assistant Professor and Clinician Scientist in the Division of Geriatric Psychiatry at Queen’s University. He completed his MD at the University of Saskatchewan in 2003 and his psychiatric residency training at Queen’s University. Dr. Seitz completed fellowship training in clinical epidemiology at the University of Toronto and completed his PhD in Clinical Epidemiology and Health Services Research at the Institute of Health Policy, Management and Evaluation at the University of Toronto. His current research examines health service utilization of older adults with psychiatric disorders; evaluation of the safety and efficacy of treatments for geriatric mental health conditions; and, knowledge translation in geriatric mental health. 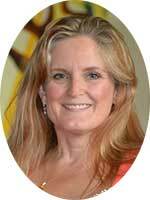 Dr. Jayna M. Holroyd-Leduc, MD FRCPC is an Associate Professor in the Departments of Medicine and Community Health Sciences at the University of Calgary, Alberta, Canada. She received her medical degree and then completed residency training in Internal Medicine and Geriatrics at the University of Toronto, Ontario, Canada. She completed a research fellowship in Geriatrics and Quality Improvement as a VA Quality Scholar at the University of California, San Francisco, USA. Her research interests include knowledge synthesis and translation focused on improving care provided to older adults. She is the Scientific Director of the Alberta Seniors Health Strategic Clinical Network, the KT Chair of TVN (Technology Evaluation in the Elderly Network) NCE, and an Associate Editor for the Canadian Medical Association Journal. A pre-event newsletter, featuring news and updates from the Knowledge Network researchers and members since the 2014 Summit as well as the Tuesday evening Poster Session booklet and the final report from the Summit are available. 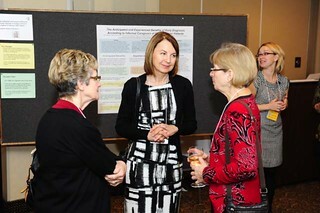 ﻿The 7th Annual Summit of the Knowledge Network in Rural and Remote Dementia Care took place on the 21st and 22nd of October, 2014, in Saskatoon. In 2014 the Summit was held in conjunction with the 7th International Symposium, Safety & Health in Agricultural & Rural Populations: Global Perspectives. 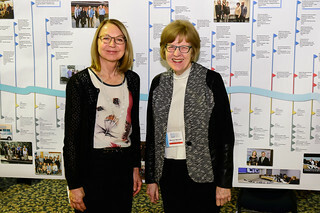 The International Symposium was hosted by the Canadian Centre for Health and Safety in Agriculture (CCHSA), the home department of Dr. Debra Morgan. Linking the two events provided an opportunity to highlight rural dementia care research in an international context. The Summit keynote presenter, and International Symposium Plenary speaker was Professor Anthea Innes. 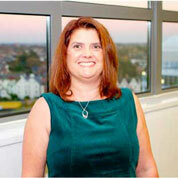 Dr. Innes is the Director of the Bournemouth University Dementia Institute launched in May 2012. 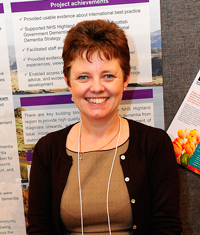 She previously worked at the Dementia Services Development Centre, University of Stirling (Scotland) where, as inaugural programme director, she was responsible for the development and delivery of the first world wide online post-graduate programme in Dementia Studies. Dr. Innes was the keynote presenter at the second Summit meeting in 2009, and we were pleased that she was able to return to Saskatoon for the 2014 Summit. A pre-event newsletter, featuring news and updates from the Knowledge Network researchers and members since last year's Summit is available, as well as a booklet of the posters presented at the Summit Poster session which coincided with the 7th International Symposium poster reception, and the final report from Summit 7. The 6th Annual Summit of the Knowledge Network in Rural and Remote Dementia Care took place on October 24th and 25th, 2014, in Saskatoon. 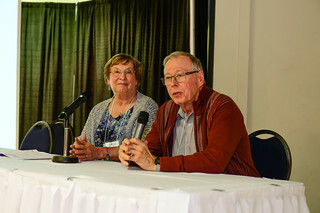 The meeting featured an increased number of attendees from the Alzheimer Society of Saskatchewan, which recently expanded their First Link program to four rural health regions in the province. The new First Link Coordinators were able to participate in this year's Summit, along with other Alzheimer Society staff and leadership. 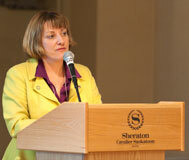 Dr. Carrie Bourassa – Associate Professor, First Nations University of Canada was the invited guest presenter at Summit 6. 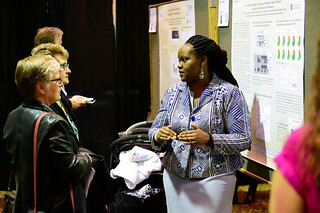 She presented information about the Canadian Institutes of Health Research (CIHR) Canadian Consortium on Neurodegeneration in Aging (CCNA) research proposal that was currently in review at CIHR. The application by Team 20 - Issues in Dementia Care in Rural and Indigenous Populations -- is being co-led by Dr. Debra Morgan, Dr. Kristen Jacklin (Northern Ontario School of Medicine), and Dr. Bourassa. Dr. Bourassa is an Associate Professor of Indigenous Health Studies at First Nations University of Canada and the Special Advisor to the President, Research. Carrie completed her Ph.D. (Social Studies) in 2008. Her book, based on her dissertation was released in the fall of 2012 entitled Métis Health: The Invisible Problem. Dr. Bourassa is proud to be the successful Nominated Principal Investigator on a Canada Foundation for Innovation Grant that funded the Indigenous Community-based Health Research Labs at FN Univ. 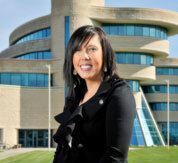 She is also the Nominated Principal Investigator for the Indigenous Peoples’ Health Research Centre. 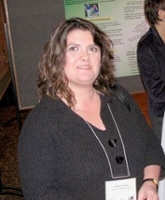 Carrie’s research interests include the impacts of colonization on the health of First Nations and Métis people; creating culturally safe care in health service delivery; Indigenous community-based health research methodology; Indigenous HIV/AIDS research; Indigenous end of life care, Indigenous dementia research and Indigenous women’s health. Carrie is Métis, belonging to the Regina Riel Métis Council #34. A pre-event newsletter, featuring news and updates from the Knowledge Network researchers and members since Summit 5, as well as the Summit poster session booklet and final report from Summit 2013 are all available. 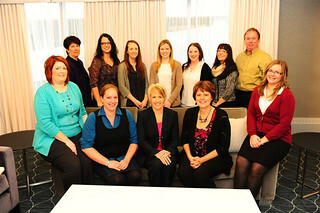 ﻿The 5th Annual Summit of the Knowledge Network in Rural and Remote Dementia Care was held on November 15th and 16th, 2012, in Saskatoon. Summit 5 featured a mix of presenters, from our international keynote, local and national research team members, local media presenters, and the Saskatchewan Minister for Rural and Remote Health, the Honorable Randy Weekes. Michele Board - Senior Lecturer in Nursing Older People at Bournemouth University, England was the invited keynote presenter for the 2012 Summit. Michele has been an adult nurse since 1985 and has had a broad range of clinical experience with a specific focus on nursing the older person. She started lecturing in 2003, leading units on the Essentials of Nursing Care for the undergraduate nursing programme, and specialist themed days on the nursing care of the older person. She has led the development of dementia education programmes for health and social care staff working in the NHS and the private sector. She is member of the Bournemouth University Dementia Institute (BUDI). BUDI works with relevant parties from the statutory, private and voluntary sector across the south of England to increase the quality of care and support offered to people with dementia and their families. Michele holds an honorary contract with a local acute healthcare trust working as the senior nurse for their memory clinic. In the Summer of 2012 a newsletter was distributed to attendees and researchers reminding them of the upcoming Summit and providing an update on team research. That newsletter as well as the summit poster session booklet and final report from Summit 2012 are all available. 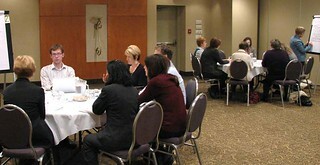 The 4th Summit of the Knowledge Network in Rural and Remote Dementia Care was held on October 27th and 28th, 2011 in Saskatoon. 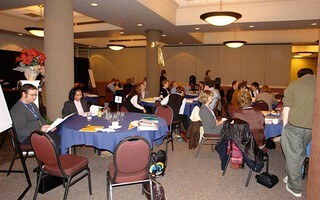 In 2011 the Summit itself was the focus of a research project to evaluate the Summit as a Knowledge Exchange activity. 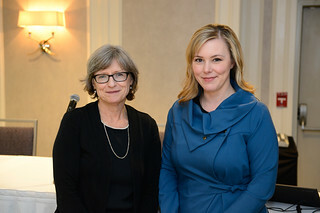 Dr. Janice Keefe, professor at Mount Saint Vincent University, Halifax, in the Department of Family Studies and Gerontology, and Director of the Nova Scotia Centre on Aging was the keynote presenter at the 2011 Summit. Her presentation focused on the critical, yet often invisible role of friends and family in providing in-home care to our aging population. Before the 2011 Summit a newsletter was distributed to attendees and researchers reminding them of the upcoming Summit and to share news among the members. That newsletter as well as the summit poster session booklet and final report from Summit 2011 are all available. ﻿The third Summit of the Knowledge Network in Rural and Remote Dementia Care was held on October 28th and 29th, 2010 in Saskatoon. Dr. John Keady, Professor of Older People's Mental Health Nursing, University of Manchester was the Summit keynote presenter. Dr. Keady also had opportunity to meet and spend time with the RaDAR team members, including a day at the Rural and Remote Memory Clinic. Before the 2010 Summit a newsletter was distributed to attendees and researchers reminding them of the upcoming Summit and to share news among the members. This pre-Summit newsletter, as well as the poster session booklet and the final report from Summit 3 are all available. The second Summit of the Knowledge Network in Rural and Remote Dementia Care was held on October 29th and 30th, in Saskatoon. The second meeting continued to build on relationships formed during the first Summit and the exchange of ideas that had started at the first meeting. Dr. Anthea Innes then with Dementia Services Development Centre at the University of Stirling, Scotland was the Summit keynote presenter. While in Saskatoon, Dr. Innes had the opportunity to spend time with the RaDAR team members, and visit the Rural and Remote Memory Clinic. Before the 2009 Summit a newsletter was distributed to attendees and researchers from the 2008 event to remind them of the upcoming Summit. The evening of October 29th was an informal reception and scientific poster session and a booklet of posters presented during the session is available as well as the final report from the Summit meeting held October 30. 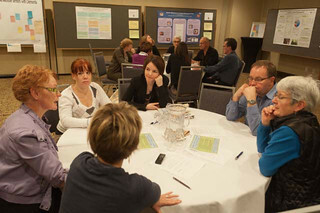 The inaugural Summit of the Knowledge Network in Rural and Remote Dementia Care was held on November 20th and 21st, 2008, in Saskatoon. As the very first Summit, the meeting was an opportunity for the members of the Knowledge Network in Rural and Remote Dementia Care to meet for the first time. The evening of November 20th was an informal reception and scientific poster session for all of the attendees. The booklet of posters presented that evening is available for download as is the final report from the Summit meetings.